We are asked often what our engine kits run like. Well take a look and judge for yourself. A big thank you to Ned at Hercules Competition Engines for allowing us to come and check out his handy work. Ford Cleveland, featuring a Fabre Ford Cleveland engine kit. This consists of a Aussie built Arrow Block with Trick Flow Powerport 225 heads. Exclusively fitted with full Manley performance valve train. Manley crankshaft & Manley h/beam rods & Autotec pistons. 413ci, 4.125 bore & 3.85 stroke. Built by Ned Sassine @ Hercules Competition Engines. Need more info? Call Fabre on 1300 350 351. 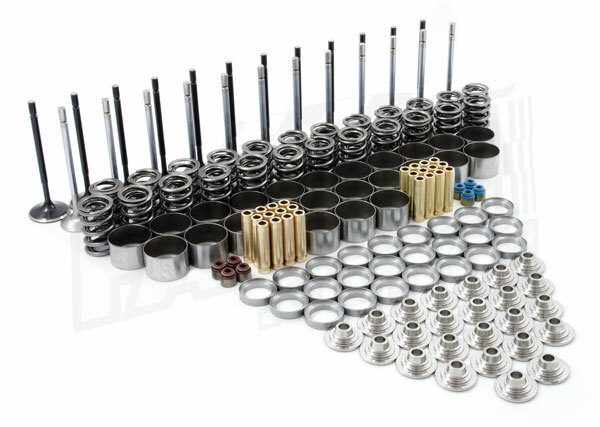 Want all the benefits of a solid lifter valve train with out having to fork out for a GTR Head? Want to spin your RB25 headed engine to 10,000rpm?